We humans are social creatures. We love to meet up with our friends, family and partners, and rely on them for support through the good times and the bad. But it turns out we may also rely on our loved ones for our health. Our social ties may be helping us to keep sickness at bay and aiding a longer happier life. There is no shortage of studies that suggest a potential link between feelings of social isolation and declining health in humans. In a study of 2,101 adults aged 50 years and over, a US-based group of scientists found that over a 6-year period, feelings of loneliness predicted higher rates of depression, a reduction in self-reported health and an increased risk of mortality. In 2010, an analysis of 148 separate studies showed that among the 300,000 plus participants, those with stronger social ties had an increased likelihood of survival. So what is behind this link? Loneliness is well documented as a risk factor for co-morbidities such as increased blood pressure, obesity, lowered immune response, disrupted sleep, depression and cognitive decline in the elderly. But, is this simply due to the fact that negative feelings of loneliness lead us to take less care of ourselves, resulting in worse health? Or is there something more “biological” going on? Although the precise biological mechanisms behind the impact of loneliness on our health remain unclear, there is a growing body of evidence to suggest this feeling may affect a number of key systems in our bodies, including the hypothalamic-pituitary-adrenocortical (HPA) axis. 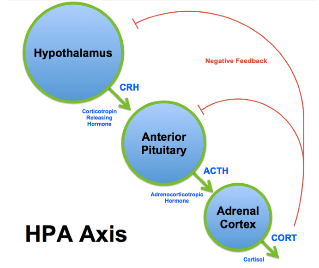 The HPA axis is responsible for the release of important hormones called glucocorticoids – cortisol in humans and corticosterone in rodents. These hormones help regulate such things as our sleep, blood sugar, heart function and immune response. However, chronic high levels of glucocorticoids have also been linked with disease. Long-term increased levels of cortisol, for example, have been associated with high blood pressure, diabetes and an increased susceptibility to infection, as well as a number of other chronic diseases. Interestingly, both urinary cortisol levels and HPA activation have been found to be increased in individuals who feel lonely, with higher levels of loneliness associated with greater cortisol increases. However, this effect only appears to be significant in individuals who are chronically lonely, suggesting the length of time one feels lonely for may play an important role in how this impacts upon our health. Given the detrimental effect loneliness appears to have on our physical and mental well-being, one must wonder what the function of this feeling is? What is the benefit of making us feeling bad? From an evolutionary point of view, the aversive nature of loneliness is pretty logical. When we feel socially isolated or our social ties start to waver, we get the desire to reconnect with others. 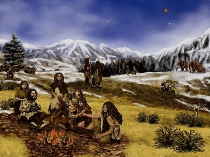 Back when we lived in tribes, maintaining social relationships allowed us to protect each other from predators and hunt more efficiently, thus ensuring the survival of our species. Similarly, our desire to find a mate allowed us to reproduce and ensure our genetic legacy. This is strengthened by an innate desire to care for our children as without a parent’s nurture and love, children would die. In this respect, it also makes sense that we, as a species, are not alone in our social nature. Studies in social mammals, such as rats and rhesus monkeys, have found that social isolation of such animals can lead to anxious or depressive behaviour, altered physiology (e.g. blood pressure, inflammation, immune responses, etc.) and mortality. Social isolation has been shown to promote obesity and lead to type 2 diabetes in mice and even in the fruit fly, Drosophila melanogaster, isolation has been shown to reduce lifespan. So, it seems loneliness may not just be an unpleasant feeling we all experience from time to time. Evidence suggests feelings of social isolation – particularly if these are chronic – could put us at risk of high blood pressure, diabetes and other health-related co-morbidities, not to mention possibly sending us to an early grave! 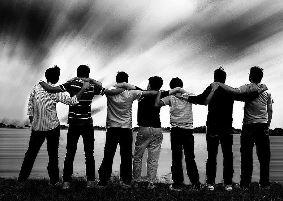 Despite the negative feeling of loneliness coming with an evolutionary function – i.e. promoting the survival of the species – it certainly seems to be a feeling one may want to avoid. So pick up a phone and call your friends, reach out to your family and organise a meet up. Most importantly, keep those all important social ties strong – it may be good for your health!